Enter for a chance to win the Peaceful Piano Prize Pack! And don't forget to sign up for the Daily Download newsletter when you enter so you never miss a free MP3 of a handpicked classical work each weekday  including works featured on YourClassical's Peaceful Piano! 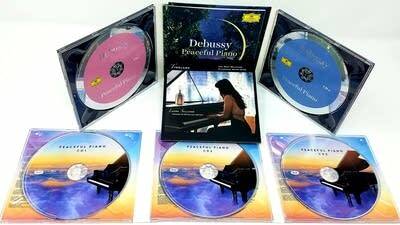 Enter for a chance to win the Peaceful Piano Prize Pack. The winner will be drawn at random. Be sure to enter by 11:59 p.m. central on Friday, Nov. 9, 2018. And don't forget to sign up for the Daily Download newsletter when you enter so you never miss a free MP3 of a handpicked classical work each weekday.